Welcome to Korean Topik (www.koreantopik.com)! 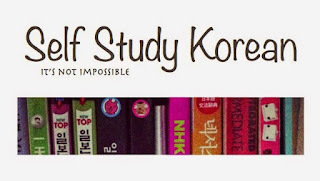 This blog was created with the purpose to build an online Korean grammar library as well as to create a complete course for English-speaking Korean learners to study Korean themselves from beginning to upper-intermediate level. Here you can study by yourself or along with the Korean class at school/ university. The course materials were extracted from different textbooks with fair-use for educational purpose such as Seoul Korean book, Korean grammars in Use book, and Korean immigration and integration program textbook. All provided lessons in Korean Topik are free to study and share. Hope you have good time with Korean Topik. Each course lesson has typically 4 parts: vocabulary, grammars, dialogue, and translation for practicing different skills of reading, listening, writing, and speaking. Grammar unit has typical 3 parts including usage, examples, and useful tips. Since studying a foreign language always requires persistent efforts and constant practice, Korean Topik hopes you can gain the most in the shortest time and master Korean soon. If you have any questions or suggestions, feel free to leave a comment at the corresponding lesson or our facebook page. Thank you.